Uprinting is such an amazing company that they love to give back not only to our local community, but also to communities around the world. 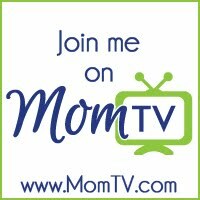 I have previously blogged about their participation in the Kiva.org program and now they are encouraging a blog-a-thon to help spread the word about this wonderful organization. Kiva is the world's first person-to-person micro-lending website, empowering individuals to lend to unique entrepreneurs around the globe. The people you see on Kiva's site are real individuals. When you browse entrepreneurs' profiles on Kiva, choose someone to lend to, and then make a loan, you are helping a real person make great strides towards economic independence and improve life for themselves, their family, and their community. Throughout the course of the loan (usually 6-12 months), you can receive email journal updates and track repayments. Then, when you get your loan money back, you can relend to someone else. Kiva partners with existing microfinance institutions. In doing so, they gain access to entrepreneurs from communities world-wide. Their partners are experts in choosing qualified entrepreneurs. That said, they are usually short on funds. Through Kiva, their partners upload their entrepreneur profiles directly to the site so you can lend to them. When you do, not only do you get a unique experience connecting to a specific entrepreneur on the other side of the planet, but our microfinance partners can do more of what they do, more efficiently. 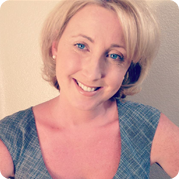 Kiva provides a data-rich, transparent lending platform. They are constantly working to make the system more transparent to show how money flows throughout the entire cycle, and what effect it has on the people and institutions lending it, borrowing it, and managing it along the way. To do this, they are using the power of the Internet to facilitate one-to-one connections that were previously prohibitively expensive. Kiva creates an interpersonal connection at low costs due to the instant, inexpensive nature of Internet delivery. Uprinting is giving to one blogger who blogs about Kiva.org $100.00 to lend to an individual through the Kiva program! This $100.00 could help many people around the world and help make a difference. If I were to be chosen to lend this $100.00 I would use the money to help an entrepreneur in Taiwan. 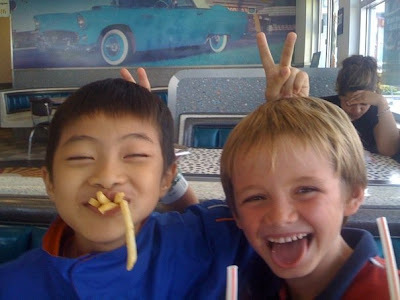 Taiwan has a special place in my heart because over the summer we hosted an orphan in our home from Taiwan. The agency who does this program is the same agency who helped us to adopt Andrew & Ella. We hosted this child as a way to give back to the agency our gratitude for the help that they gave us. To protect his name I will call him "Kyle". Kyle came to live with us over the summer from an orphanage in Taiwan. It is a wonderful program where they bring children from around the world to live with a family over the summer. For the children, they are told that they are coming to America for a summer vacation. They get an opportunity to be a part of a family and to be loved by a Mother and Father. We welcomed Kyle into our home and loved him like one of our own. He spoke no English and our family had to learn the art of Mandarin/English sign language! It had lots of challenges and it was not an easy commitment that we made, but we were so happy to have him in our lives. He touched our hearts and helped to make us all better people. We got an opportunity to see what a privilege life we live. We learned that we take so much of the luxuries we have for granted. The simple things like a warm house to live in, clean clothes every day and running water. Kyle was an amazing young boy that we will always love. Although we really wanted to adopt Kyle, there were certain circumstances that made it not possible. We pray everyday for him that he will find a home with loving parents in Taiwan. When he returned to Taiwan it was heart breaking for Andrew because the two of them grew so close. They shared a bed, baths, clothes and toys. They became like brothers & will always have a that special connection that they shared. His time with us also helped Andrew & Ella to understand a little more about their adoptions. We want them to grow-up being proud of the fact that they were adopted. That their birth mothers choose not only to give them life, but also to find them a loving and caring home. We have been praying for God to give us the strength to one day take in a long term foster child or adopt from Taiwan when the kids are older. 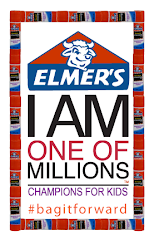 There are so many older children looking for homes. We hope to be one of their homes when the time is right for our family. I would love to have the opportunity to lend money to someone in Taiwan, and know that it would be helping to make the place where Kyle lives a better place! Kiva.org is a wonderful program and I encourage everyone to donate even a small amount to help other people in the world. Giving back a little can make a huge impact on someones life! 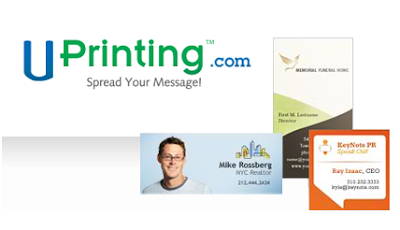 This past week I was given the honor of being Uprinting.com's Blogger of the week! Every week they honor a blogger by giving them the title of blogger of the Week and features them on their website! As you know by my blog, I love Uprinting! They are such a wonderful and generous company filled with lots of great employees! Companies like this do not come around often. Ella and Tyler were so excited that they decided to make this cute video....pretending to be me! We seem to have a lot of fun making skits with our video camera! It encourages them to express themselves and to be as creative as they want. Well...they were a little extra creative in this video! Thank you so much Uprinting for this amazing honor! I am very grateful and thankful! We are just loving the newest addition of The Wheels On the Bus to our Felt Story company that we wanted to give one away to one of our readers! The kids just love this song & having it in a felt board story just makes song time so much more fun! Would you like to win one of our Wheels On The Bus Felt Board Stories? 1. Tell us why your kids love this song! Giveaway will end at 11:59pm PST on January 24th! This offer is open to US residents only. Winner will have 3 days to respond to our email before the prize will be given away to another winner. Giveaway will end at 11:59pm PST on January 18th! This offer is open to US residents only. 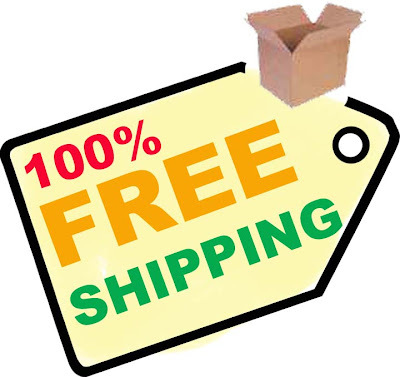 Winner will be required to pay for shipping. Winner will have 3 days to respond to our email before the prize will be given away to another winner. I was recently given the honor of reviewing the Black Diamond WOW! Cleaning System for Wood and Laminate Floors! I have my entire downstairs in wood floor and I have tried almost every product on the market to keep my floor clean so my babies can crawl all over. So many products that I have used always leave a white film on the wood after it dries. I have always wondered....how can that be good for my kids little feet to touch? When I used the Black Diamond WOW! Cleaning System I was amazed!! It came with a large mop that self locks....so the poles won't come apart like others! It was simply the best wood cleaning system I have ever used! I have even been using the cleaner to wash my wood dinner table! It cleans all the food and leftover kid grime right off!! The reusable microfiber cleaning pad fit nicely on the durable Velcro on the mop! It never came loose once during my cleaning! And I was ready to clean! All the yucky dirt is where I want it! On the mop! I then tossed it into the wash and it was ready to use again! Black Diamond has so generously offered two of these Wow! Cleaning System kits to our readers! 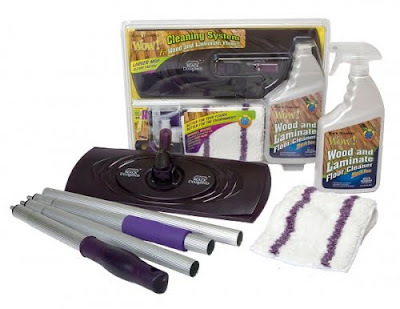 Would you like to win one of two Black Diamond Wood Floor Cleaner Kits? 1. Please leave a comment of why you would like to win a Black Diamond Floor Cleaner kit! Want to purchase it now? Visit http://www.bdstoneworks.com/ and get a $2.00 coupon for Walmart! Two winner's will win one Black Diamond Wow? Cleaning System for wood and laminate floors. Giveaway will end on January 20, 2009 at 11:59pm PST. Giveaway is open to all residents in the US. Winner will have three days to respond to our email before another winner will be chosen. 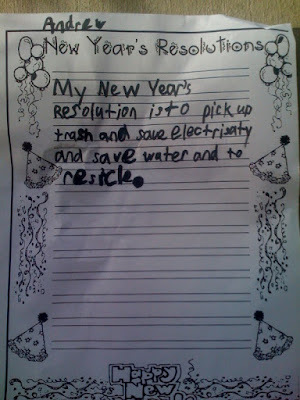 Andrew had to write his New Year's Resolutions during a project at school. I was so amazing when I opened his backpack to see what he wanted to do better in 2010! I think that this should be a resolution for a lot of us! We are so proud to announce our newest addition to our felt story family! 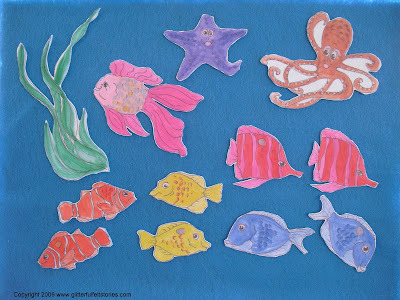 We have created this wonderful colorful fish theme felt board story that can be used to go along with the story The Rainbow Fish! These beautiful felt pieces are made using the highest quality pieces where the images have been directly printed onto the felt pieces! These pieces are recommended for the younger children to withstand their tough little hands! You can purchase this felt story online at either of our two online stores! Plus! All our Printed felt board stories will come cut-out for you to enjoy right out of the package!